SACS has a deep history in rewards technology, both from a design and development perspective. Today’s technology offers are focused on two main areas: Engagement & Flexibility. Loyalty Gateway – The “Switch” is a patented pending technology with the aim to enable the fuel industry the flexibility they need to manage multiple types of rewards programs (local, national) across retail sites. The solution takes the brains of loyalty out of the POS and puts in the cloud without constraints. 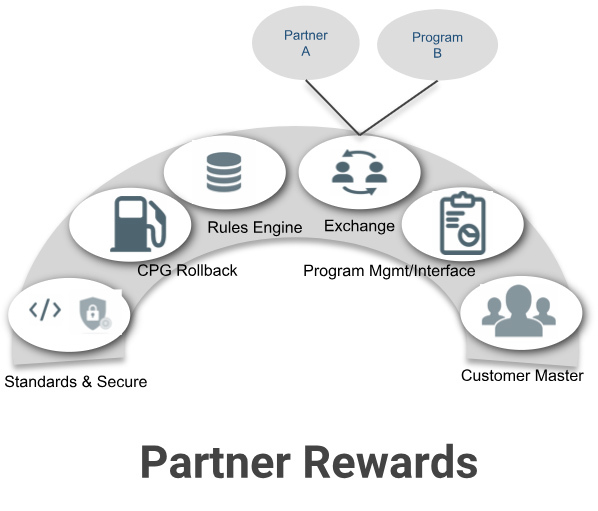 Partner Rewards Platform (PRP) – Partner Rewards was built on the concept that partnerships have a big place in today’s fuel rewards programs. From points exchanges in real time, complex rules, to enabling brands or other program’s customers unique value at your sites, PRP can be your end to end rewards solution. CSTORE Loyalty Technology – SACS V2 of CSTORE Rewards focus is on driving real engagement in a cost effective manner for operators . The program features surprise & delight relevant rewards, targeted offers based on segmentation, and frequency rewards. The program also focuses on leveraging the mobile channel and connecting payment to provide a seamless experience.